Edmond is the 6th largest city in Oklahoma. Edmond instantly catches the eye, as it was rated in the top 100 places to live in 2007 (Relocate America) and #1 on CNBC list of the ten perfect suburbs (2011). This is the perfect environment to raise a family and families searching for Edmond, OK real estate with 3 car garage spaces will quickly discover the appeal. Education: There are 16 elementary schools, 5 middle schools and 4 high schools in Edmond. Students of Edmond Public Schools are provided high quality educational experiences (as validated by public records of standardized tests). According to US News, Edmond is home of four of the top ten high schools in Oklahoma. Landmarks: You definitely shouldn't miss the Old North Tower, the Edmond Armory, the Gower Cementery, the Kivlehen House and the American Legion Hut. All of these are listed in the National Register of Historic Places, and represent an important part of US history. If you want to live in an iconic place, Edmond is hard to beat. Health System: There are close to a hundred well-equipped health centers in Edmond. For example, the Edmond Medical Center offers a 65-year track record, Oklahoma's largest hospital, 300 physicians and 500 dedicated employees. You can find any sort of imaginable medical service in Edmond, from outpatient surgery to speech therapy and more. 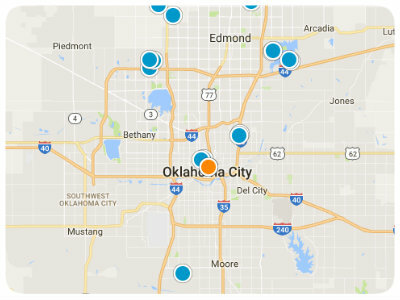 Economic Details: If you're planning to live in Oklahoma, give Edmond a throughout consideration. The city's population is under 100K inhabitants, the median citizen is 34 years old, and the per capita income of the city is at a healthy state. The list of notable citizens includes several beauty queens, actors and world athletes. Attractions: The beautiful Armstrong Auditorium, which brings you a top notch theater experience, The Mitch Par, with big open spaces for the sports and family time and many other attractions like the Pelican Bay Aquatic Center, Arcadia Lake and the Edmond Historical Society and Museum might keep you busy for quite a while. Real Estate Opportunities: This is a very good time to buy Edmond, OK 3 or more car garage houses as prices are still very low and confidence is coming back to a very hard hit market. 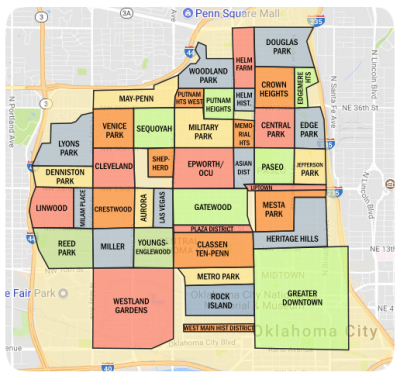 The many parks of Oklahoma, the great educational system of Edmond, the low prices and proximity to the University of Central Oklahoma, make Edmond a great place to own your next home. Towards the center of the city homes tend to be more expensive, but still, some properties that lie nearby Arcadia Lake sell for several million dollars. Proving that you can live in this city as a superstar or low-key member of the middle class. With a median per-capita income of 68K, low crime rates are to be expected. More good news include the cost of living index in Edmond, a healthy 87.5 points, considerably lower than the U.S. average of 100 points. Most of the population has attended at least high school and 60% of inhabitants are married. Clearly, Edmond, OK is a great place to settle down and watch the kids grow.